Tales from a tribble: Hugh Hewitt: "Hillary Clinton-The Grandma Of Obamacare"
Hugh Hewitt: "Hillary Clinton-The Grandma Of Obamacare"
The reason I am repeating this post is that I have heard the great Jonah Goldberg from NRO and author of the great newsletter, "The G-File," and also I have heard a Republican congressman both use the phrase "grandmother of Obamacare" when talking about Hillary Clinton, a possible 2016 Democrat candidate for president. To that I am very thankful and hope that trend continues with it being a staple in GOP presidential political talk. 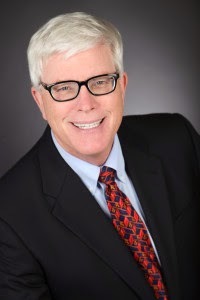 But in order to give credit where it is due, it was Hugh Hewitt of the Hugh Hewitt radio show [and author of the new book "The Happiest Life"] who first deemed Hillary Clinton as the "grandmother of Obamacare" on his show on November 13, 2013. Let that be forever on record here, as we get closer and closer to the 2016 presidential election, that Hugh Hewitt invented that phrase, and that it is the Tales blog that first announced that fact. So, because of that, I repeat this Tales post first published in November of 2013, with an added video [with a surprise guest singer-or as my wife says torturer] at the end about Hillary being forever tied to Obamacare. Are we about to see a Governor Mitt Romney redux by Hillary Clinton having to explain away her Hillarycare in the 2016 presidential election as Romney did in 2012 with Romneycare? Whoever said, 'what goes around comes around' sure knew what they were talking about. I was one person who said Romneycare would not hurt Governor Romney one iota in his presidential campaign. I was wrong. People will be saying the same thing about Hillary Clinton and her miserably failed attempt at Hillarycare in 1994. This was a proposal by then first lady Hillary Clinton that was so unpopular, that it led to the GOP Gingrich led "revolution" in the 1994 elections in which the GOP made historical gains and took control of Congress for the first time in 40 years. The great Hugh Hewitt, host of the intelligent radio talk show, The Hugh Hewitt Show, does not want the people to ever forget about Hillarycare. In fact, he has given the appropriate handle to Hillary Clinton as the "grandmother of Obamacare." HillaryCare wiped out the Democrats in 1994, let us hope it does the same for Hillary and the Democrats in 2016. Now we see president Bill Clinton trying to immunize Hillary from Obamacare, making suggestions that the president should have kept his word and action needs to be taken to correct that misrepresentation [lie]. Hmm, you may be trying to stand by your woman, Bill, but it won't work. Hillary tried to have the federal government take over 1/6 of the economy by controlling health care, just like president Barack Obama has done with Obamcare. The people will be reminded of that, over and over and over again. I hope that Hugh Hewitt's call will be taken up by the Republican Party and from this time forward Hillary Clinton will be known as the grandmother of Obamacare. Update: In line with Hugh Hewitt and the Tales wish that Hillary should forever be known as the grandmother of Obamacare, Tales has produced this video. George will recently noted that Hillary is "past her sell date". If the Libs support her, it doesn't matter how stale she is. She'll be a threat to the nation. yes Marcwinger she will be a threat to continue Obama's destruction of America....she must be stopped.